Description Baltimore and Ohio Railroad (B&O RR) 1946 Form 119 SPL. Unused/Mint Ticket Envelope. 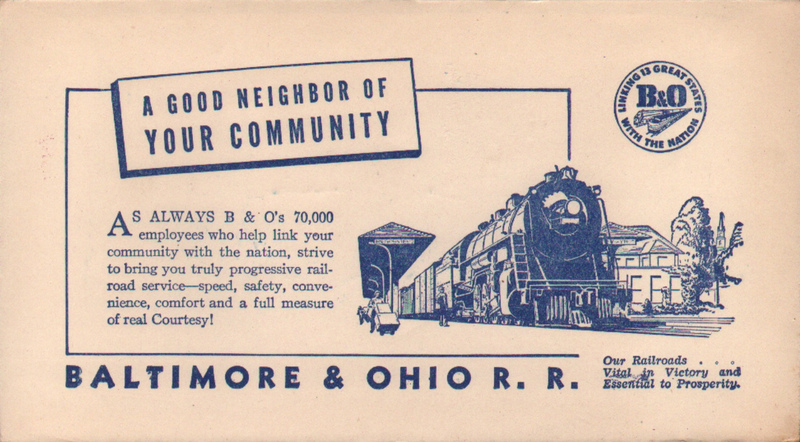 "A good neighbor to your community" As Always B&O's 70,000 employees who help link your community with the nation, strive to bring you truly progressive railroad service - speed, safety, convenience, comfort and a full measure of real Courtesy!" 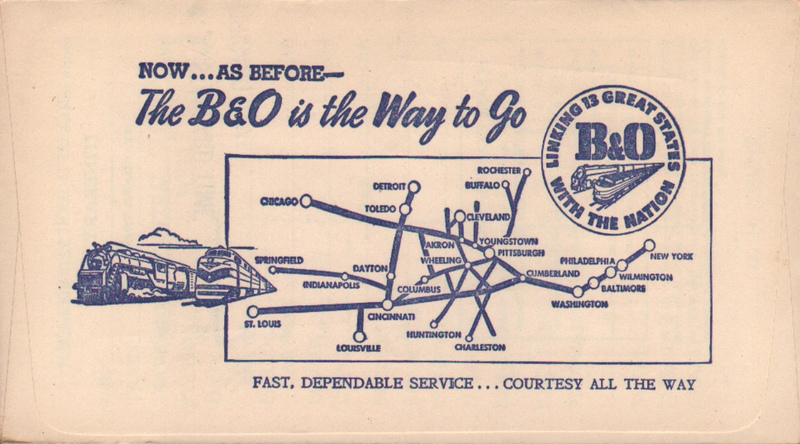 On the back flap "Now... as before - The B&O is the Way to Go. Fast, dependable service... courtesy all the way" Stamped for Chicago's Grand Central Station, Harrison & Wells Streets. 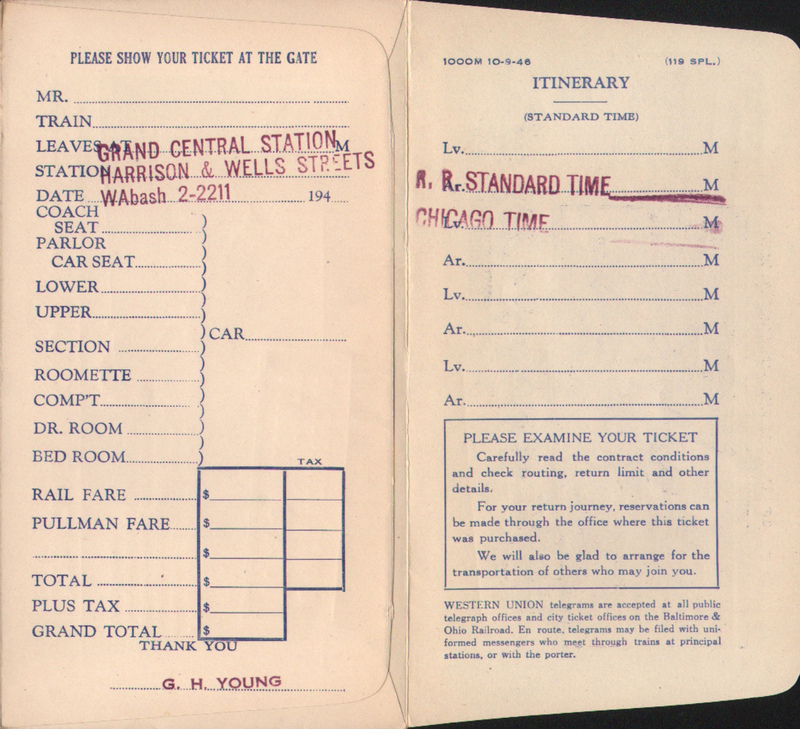 WAbash 2-2211 - G. H. Young.